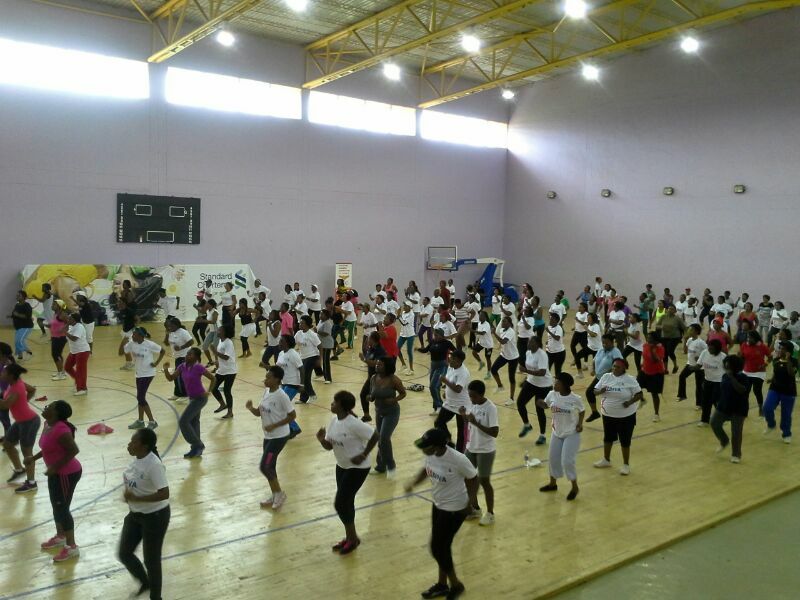 The Women’s Aerobics Session was held to commemorate Women’s Day and to launch the Ministry of Sport Technical Working Group on Women and Sport (TWGWS). The TWGWS is a multistakeholder committee that provides strategic advice to the government and related stakeholders on implementing policies and programs in sport towards improving opportunities for women. The TWGW is comprised of the Ministry of Sport, the National Olympic Committee of Zambia, the National Paralympic Committee and NOWSPAR. The event was held in partnership with Standard Chartered Bank Zambia’s Diva program and brought together women from various parts of Lusaka including civil society, government departments, media and education institutions. Speaking at the event, Minister of Gender Hon. Inonge Wina urged all sectors of government to invest in the wellbeing of their staff by promoting physical activity. Other speakers at the event included the Permanent Secretary of the Ministry of Sport, the Minister of Chiefs and the Director of Corporate Affairs at Standard Chartered Bank Zambia. [Lusaka. 14.03.14 Isaac Mwaniki] The Miracle Disabled Club in George held a Chess event to celebrate Youth Day. 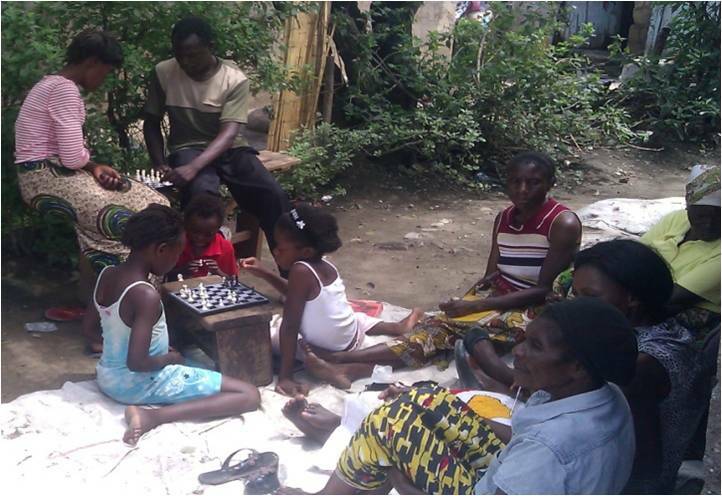 The chess program at the George Compound Miracle Community Club supported by NOWSPAR has been progressing well. Following an orientation workshop on Chess and organizing sport, the Club is running chess activities and includes others who didn’t get the chance to take part in the workshop. They developed a schedule for training on Monday, Wednesday and Friday between 10hrs and 13hrs. Club member Daniel Mwape has been spearheading the program with coaching his peers with the help of Staggar Kantu and Davies Mindeo. The program has attracted participants between the ages of 10-36 yrs with majority of them being female. “Chess being a game of the mind, I feel very much empowered because I can play” says Doricaone of the female participants in the program and she has gone an extra mile by training her daughter. She believes that critical thinking that comes with playing chess leads to empowerment since it changes ones perspectives and is good practice for problem solving. There has been great progress with the program whereby the club organised for a local chess tournament, coordinated by Daniel Mwape, he was able to invite two which participated in the tournament. The club’s sport program is supported by NOWSPAR, in February one football coach was trained under the British Council Premier Skills program, in December last year, three young women participated in an Audio Story Telling Workshop for young leaders supported by Women Win. T he Chess program brings together males and females with and without physical disability and across generations to interact and participate together. A lot of people have shown interest in playing chess especially women therefore this call for the need of these players to be exposed in to professional contests within and out of Lusaka, a follow-up is being done to ensure the team registers with the Chess Federation of Zambia under Zone 4. The tournament was organised to commemorate world youth day as well as acknowledge their progress with the chess program in their community.